Josh is from the town of Linneus where he attended Hodgdon High School and graduated in 2009. Josh also attended the Automotive Collision program offered by Region Two his junior and senior year. After high school, he went on to Northern Maine Community College to obtain his Associates degree in Automotive Collision Repair, class of 2011. Fresh out of college, Josh went straight into the work force, working full time at Carroll’s Auto Sales in Presque Isle. He preformed many aspects of the collision field, everything from the parking lot door ding to the extensive moose hit. Josh devoted 5 years to Carroll’s before accepting a position at Region Two. 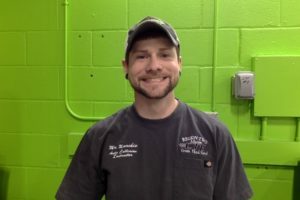 Now as the new Auto Collision Instructor he looks forward to working with the students and helping them get everything they can out of the auto collision program.